I've delved deeply into this experiment so far. 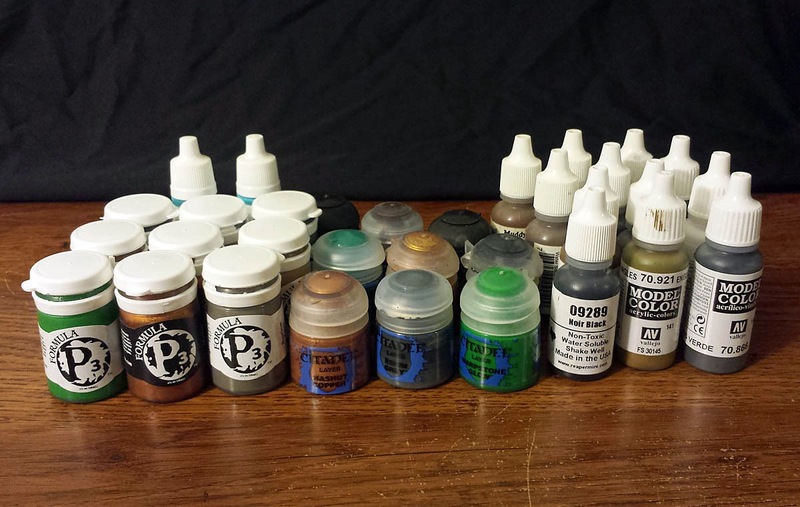 I did quite a bit of research on paint comparisons, decided on the models, visited a lot of LGSs, and have purchased vast quantities of paint. Not a bad start, I think. The research actually took a lot more effort than I thought it would. There are lots of comparisons out there, but many of them are either bad or well outdated (don't have the new Citadel line, for example). The haul so far, not including GW stuff I had. There are two fairly good resources out there for comparing paint lines. First is the simple but not-great comparison chart from Dakka Dakka. Next is the incredibly complex but far more accurate Mega Comparison PDF from the lovely people at Vallejo. 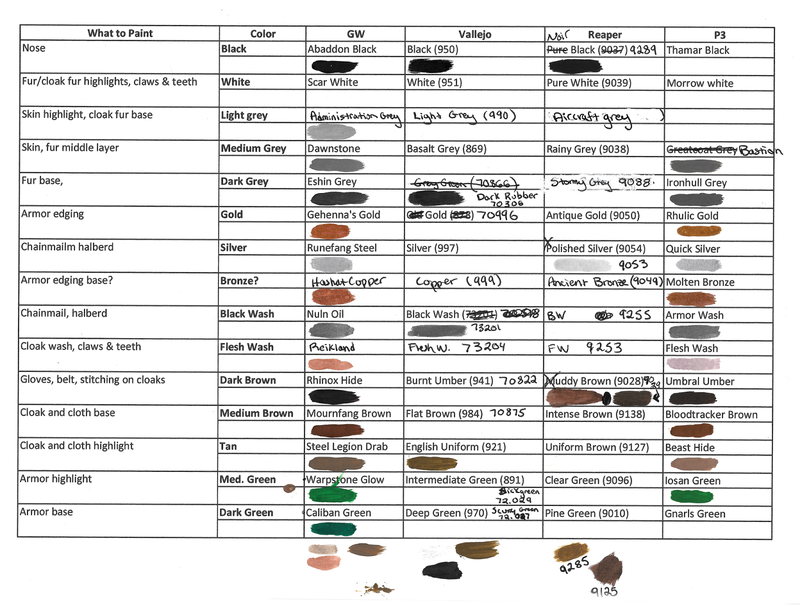 This chart has every paint range I have ever heard of (except P3, which is understandable) and then some. I want to hug whoever put that together- you're brilliant and it made this experiment so much easier. That said, I had to make my own mini-chart with the colors I intend to use. I wanted to make sure the colors I got really are close matches. But how do I know what colors I need? Because I finally picked the models! I settled on the Privateer Press Warpborn Skinwalkers. I already had them- plus they were assembled and primed to boot. The models have a great variety of textures to work with- fur, fabric, metal, and chainmail among them. So I think they're perfect. I took the P3 color scheme largely into consideration first because they have the most limited range of colors. So they'll be done very similarly to the studio scheme. I listed out all the pieces of the model and started assigning colors to them from each range. Then I went through my paint collection and painted a sample of each under the color name. It's still a big WIP, but here is my chart so far with the colors, notes, changes, and scribbles. There are white paint swatches in there, honest. There is one, surprisingly only one, hole in the chart. P3 really does not have an appropriate grey highlight color. The closest they have is Trollblood Highlight which has an unfortunate green tinge to it (as does the Bastion Grey, admittedly). I don't think it's doesn't match the other grey highlights at all, but it may be my only option. Or, I might mix some of the Bastion with their white and see how it goes. I'm undecided. I have finalized the remaining paints I need to buy and made a list of them. All of those I have here, I was able to get from my LGSs but sadly, there are a lot that are missing. Getting them online means both a discount but also a shipping charge, so I'm coming out about the same. I have about 35 paints left to buy, which is going to run me about $100 after shipping. There goes all my hobby budget for the month. Preferably, I won't get started until I have all the paints in-hand, but because I have all the GW and nearly all the P3 paints, I might be tempted to get the fur/skin basecoat down while I wait on the rest. But I will try to be patient and wait. It's not as if I don't have five other hobby projects happening at once... ok it's more like a dozen. Wow, that's far more work than I ever put into my choice to change paints. Of course, I'm a splurge shopper... So I jumped into P3 and Army Painter feet first and never looked back. Coal Black and Greatcoat are awesome. Coal Black is so dark its almost black. Greatcoat Grey highlights that really well, so I rarely go beyond that point. I tend to not over highlight my models, but that's just me. Good luck with this! I cant wait to see the full series of articles here. Good stuff. 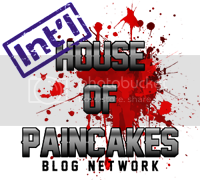 I didn't wholly realize how much work this would be, and I might not end up changing paint ranges at the end of it either (have LOTS of paint to use already). But there just isn't a light grey in the P3 range that isn't tinged with another color (like Trollblood Highlight). I'll make it work, one way or another. I've been using the Warpaints greys when using light greys. I think that for this experiment to me much more than a colour-matching exercise, it is probably useful to consider how the paint ranges were designed as well. Some paint ranges (Foundry, Reaper) use "triads" of colours, where every colour they make has a designated shade and highlight colour as well, and the paints are sold in threes or sets of multiples of threes. Games Workshop's range is designed for a more assembly-line style painting, where getting a huge number of figures done quickly is the goal. Therefore, the paints are designed to be used with little or not thinning, and little or no mixing. The intention is to increase the size for the range and reduce the time spent putting paint on a palette and mixing shades. The Vallejo Game Colour range is designed to match the old GW range (from the hex-bottle-white-flip-lid days in particular), and yet be cheaper and cover better than their competitor. To my mind, it worked well, and their paints are good value, quite thick, and generally cover well. When GW first brought out their washes and base paints, Vallejo responded by adding similar products to their Game Colour range too. The reason I mention this is because without taking into consideration what the paint [range] was intended for -at least nominally- you will not really give a terribly fair comparison. So a GW layer paint might be thin and not cover well, but *that was intentional* as the expectation is for painters to use it straight from the pot with minimal mixing. The P3 paint might seem "slippery" if you use it straight from the pot, but when mixed with glaze medium and a little matte medium, it makes an unbelievably good wash in any colour you care for. And so on! Of course, people use the paints the way *they* like, and is often why some people are very wedded to a particular range that happens to suit their style.